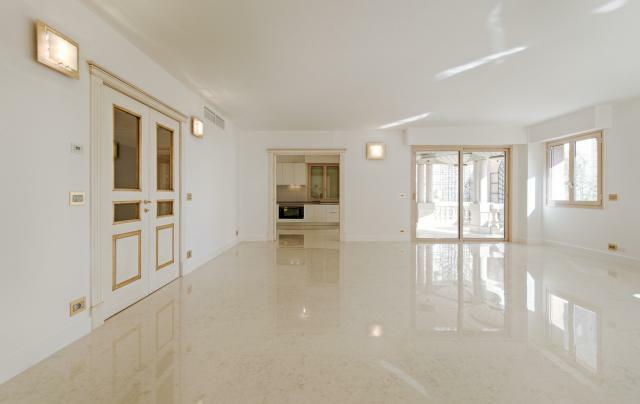 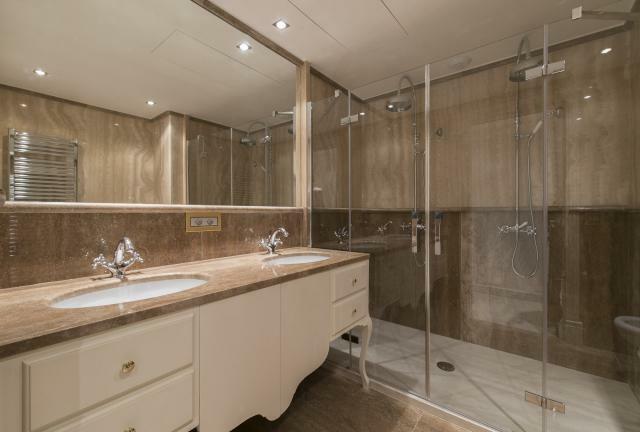 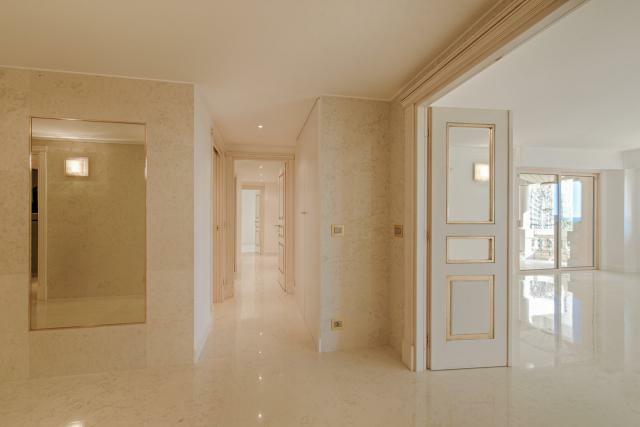 This large apartment has been renovated to a high standard with luxurious fittings. 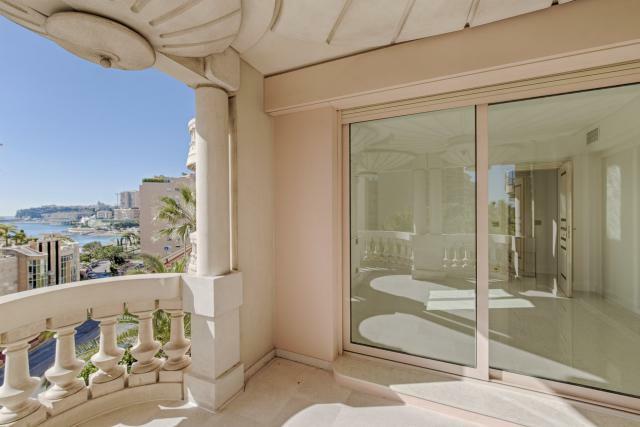 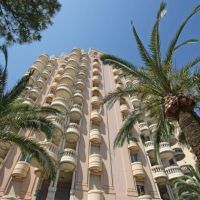 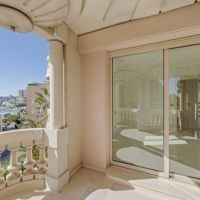 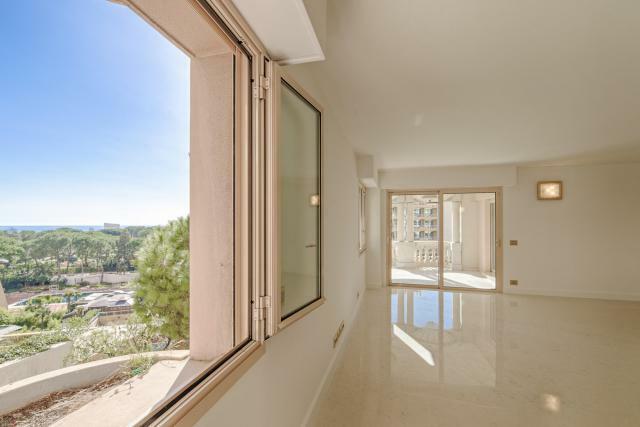 It has a large surface area of 309 m², including 83m² of terrace areas with a pleasant partial view of the sea and Cap Martin. 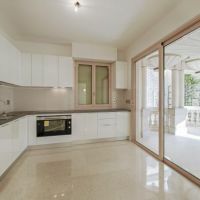 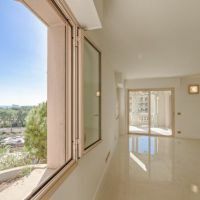 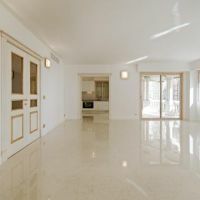 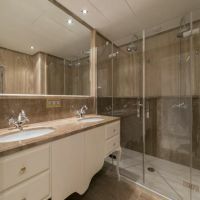 The apartment comprises an entrance hall, guest toilet, laundry, fully equipped kitchen, 4 bedrooms, 3 bathrooms, 1 office, a large living room/dining room and 3 terraces. 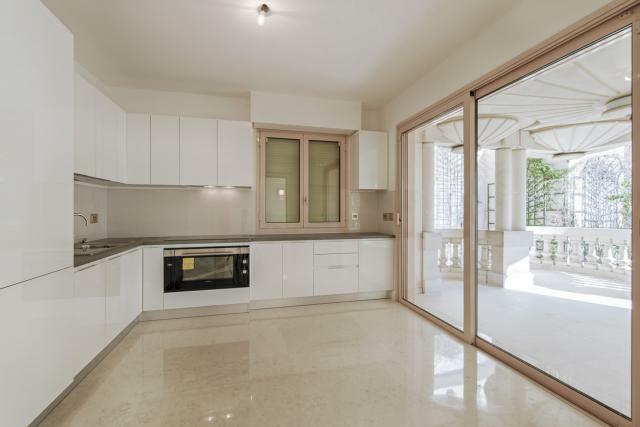 3 cellars and 3 parking spaces included. 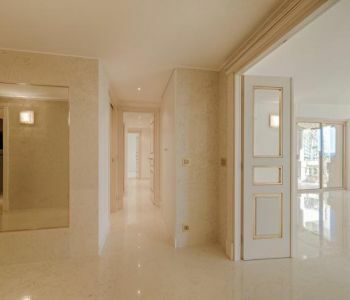 "Le Florestan" is a modern and high end development whose style has been inspired by the "Belle Epoque". 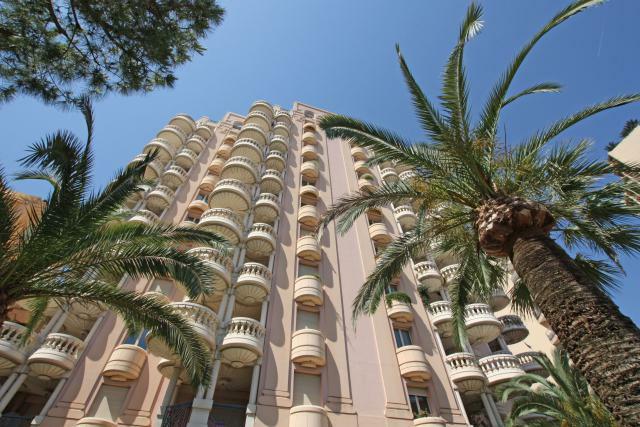 This elegant building is located just above the beaches. 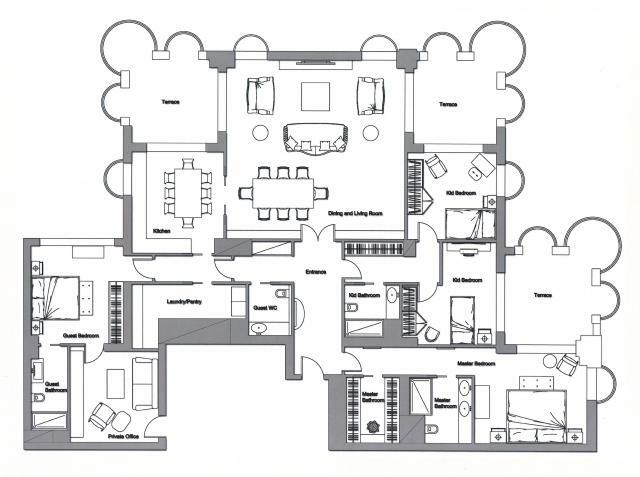 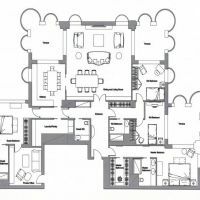 Layout : Entrance hall, guest toilet, laundry, equipped kitchen, 4 bedrooms, 3 bathrooms, 1 office, large living room / dining room, 3 terraces.